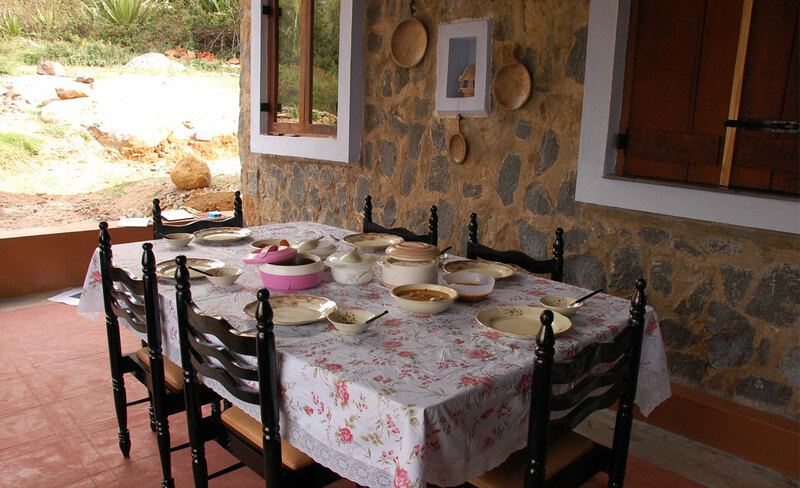 Wild Walkers is a perfect, off-beat getaway for small private gatherings & families. 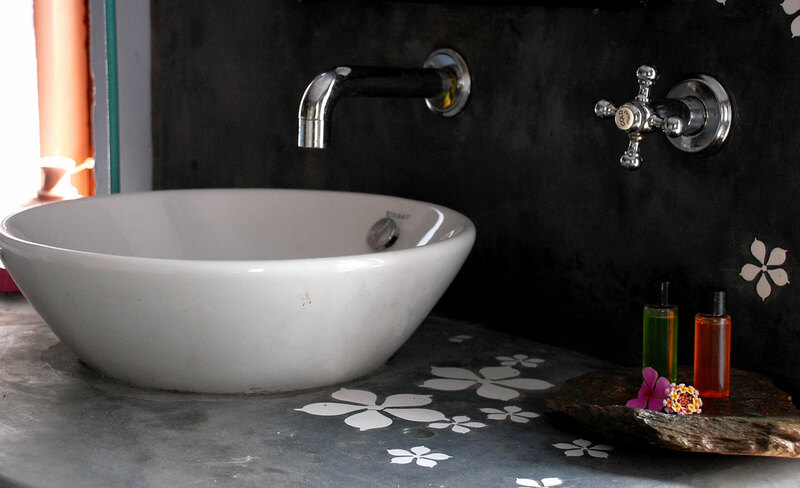 Elegant and rustic, the environment friendly lodge has 3 large bedrooms with independent access, a common sitting & dining area, all of which provide stunning views of the forest. 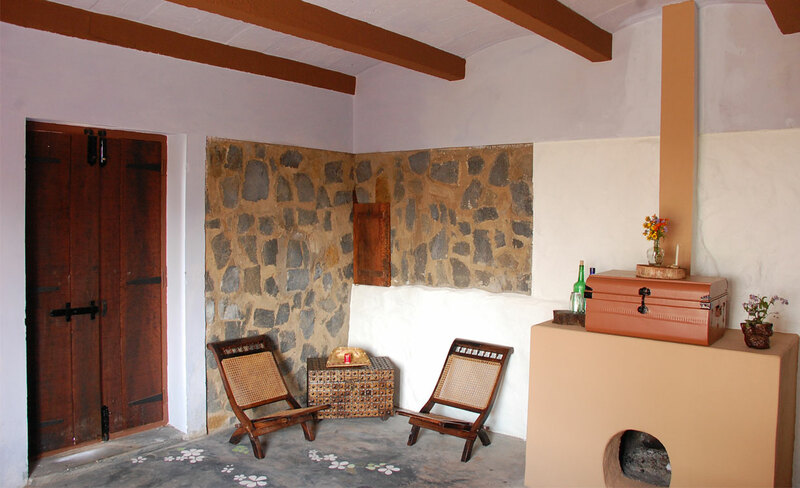 A kitchen with firewood cooking facilities caters to the guests. The nights are special with the lantern experience. 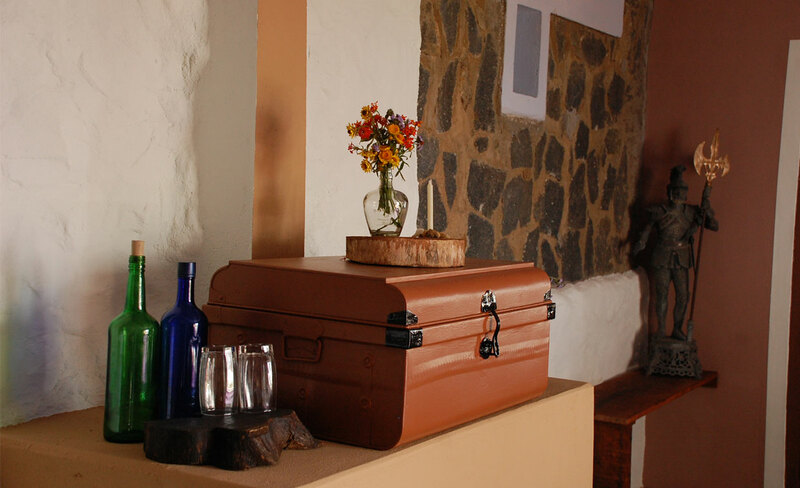 Kerosene lanterns brighten the cozy rooms, offering a perfect ambience to unwind. 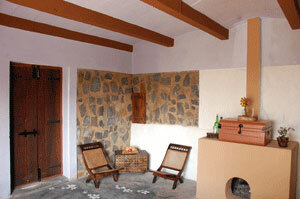 Listen to the melodies of the Whistling Schoolboy (Malabar Thrush) from the comforts of this ground floor room. 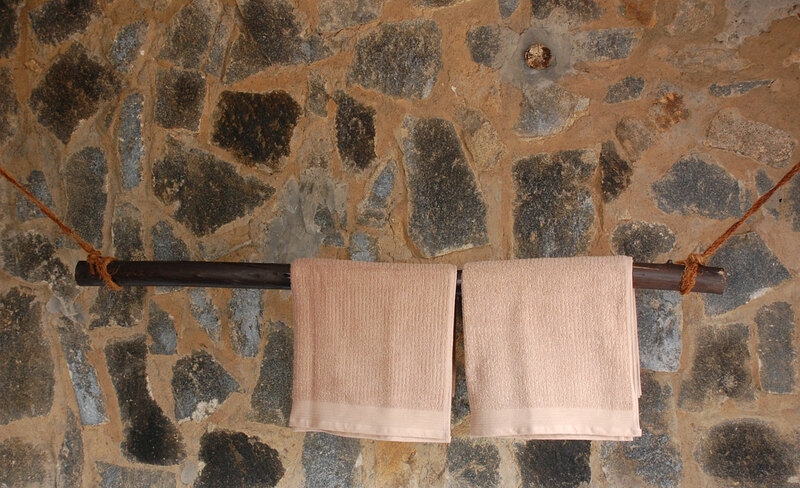 It is spacious with a large bathroom, fire chimney, forest view, decorated flooring & a private wildlife viewing deck. Yes! 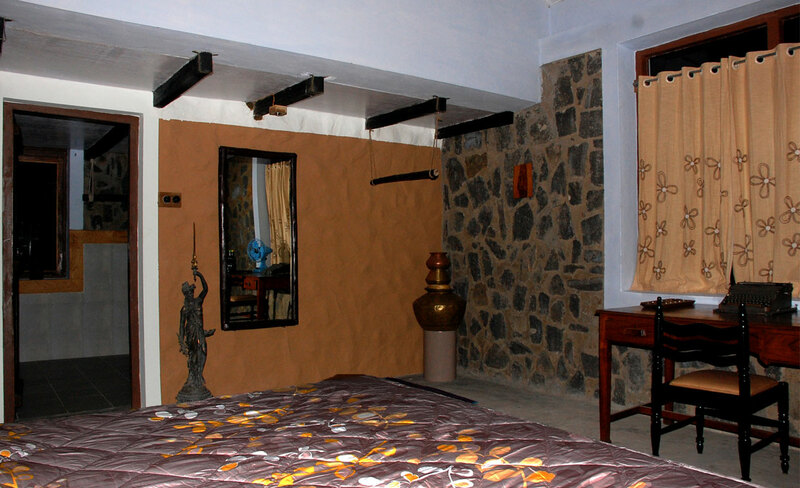 Expect to spot the great Indian Gaur from this first floor room. 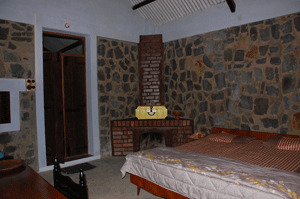 Spacious with a large bathroom, the room also has a fire chimney, forest & valley views and a private wildlife viewing deck. 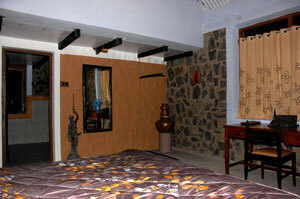 A simple room with an attached bathroom on the first floor, this room has a mountain & forest view. Wild Walkers is located in a hilly, forest area with various inclines and might not suit the elderly. Children below 8yrs are not permitted. Dogs and pets are not permitted as it is a wildlife zone. Loud music with partying and damage to the environment is strictly a no-no. 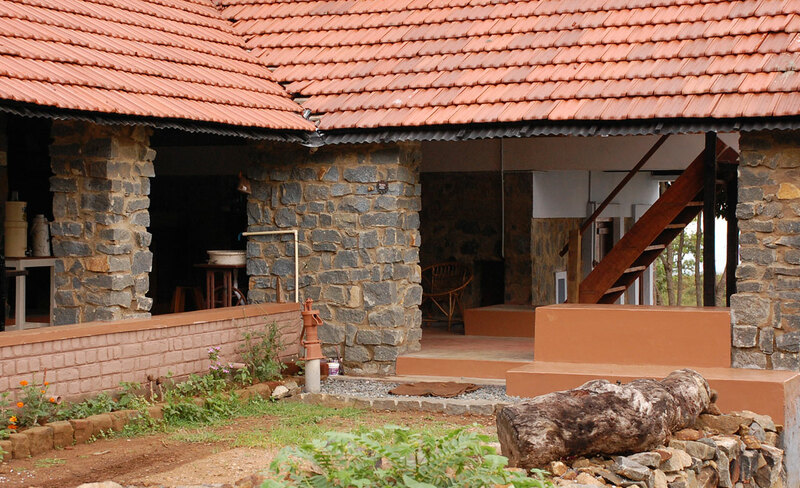 Nearest ATM, pharmacy, fuel station & hospital facility is 15 kms from the lodge in Ooty.